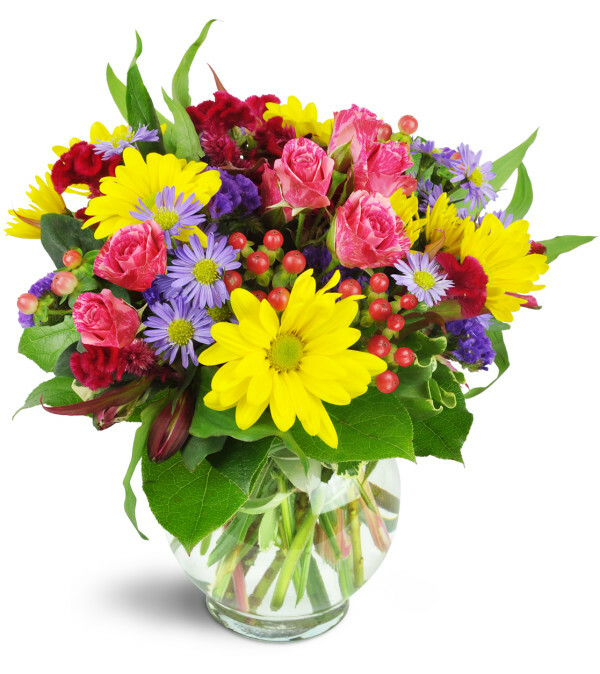 A rainbow of blooms are perfectly perfect for any special occasion! 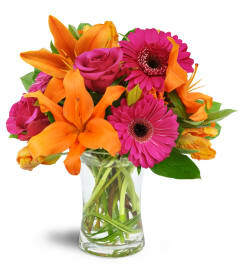 As a birthday celebration, or a hearty congratulations, it's a great way to show how much you care. 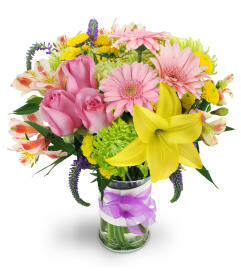 Cheery yellow daisies, purple asters, pink spray roses, and more are delightfully arranged in a fun bubble bowl.